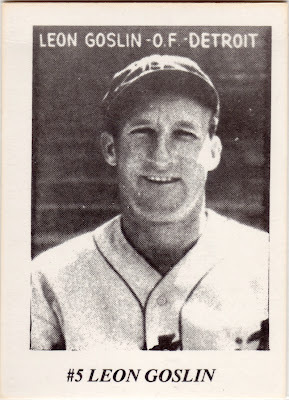 While best know for his decade as a slugger in Washington and three World Series wearing their cap, Goose Goslin also helped Detroit reach back-to-back Series appearances in 1934 and 1935, winning a title the second time. That (and his HOF credentials) earned Goslin a spot in this Tigers tribute set, in spite of his sparse two years in their uniform. So how did Leon get the nickname "Goose?" According to Wikipedia, it came from his limited fielding ability. 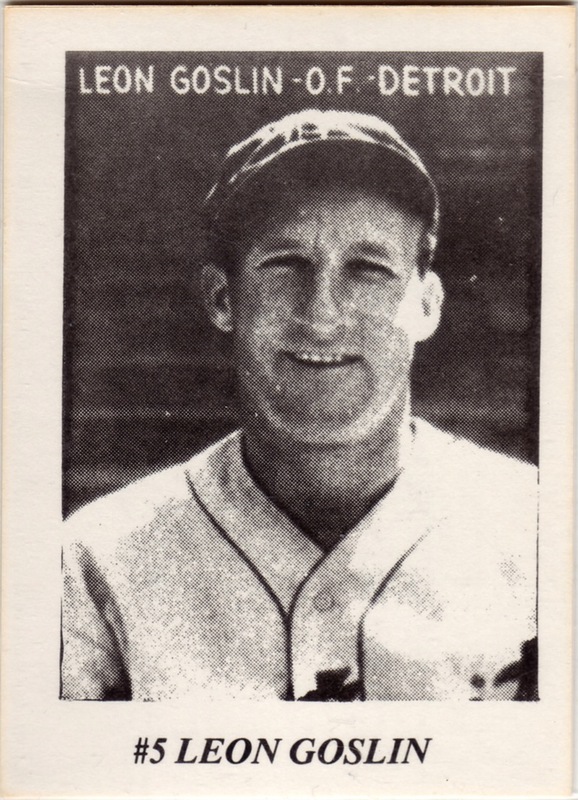 "Goslin’s difficulty in judging fly balls contributed to his nickname 'Goose.' Opposing players said Goslin resembled a bird flapping its wings when he ran after a ball with his arms waving." Goslin also sounds like "gosling" (baby goose), so one supports the other. 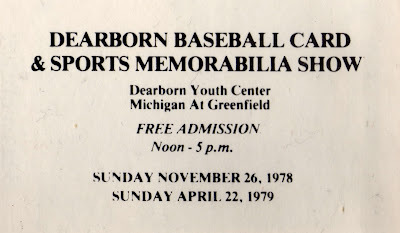 Show promoters created this set in part to honor their hometown Tigers, but also to encourage visitors to get autographs from its guests. 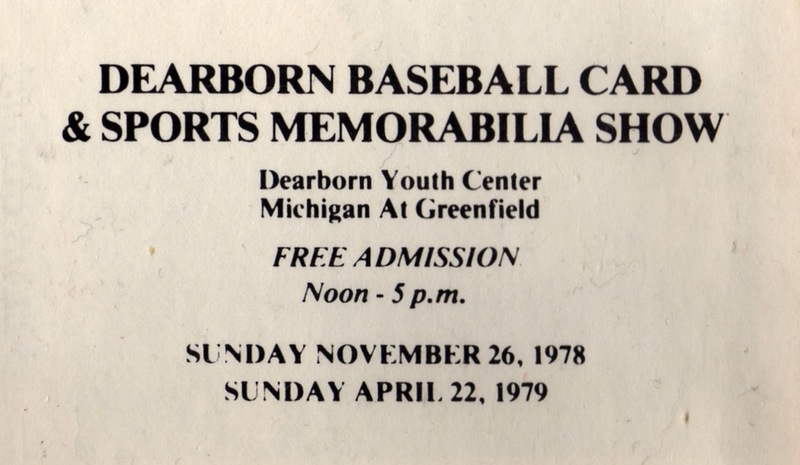 Several formers players appeared at each Dearborn show, held twice a year back in the late 1970s. 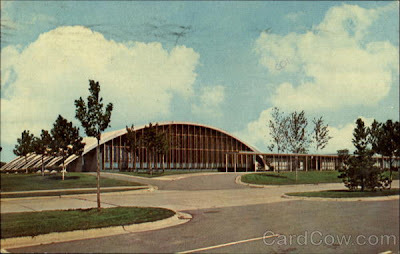 I can't find current dates for a similar show, so assume it changed locations or folded in the intervening decades. Fakes / reprints: Haven't seen any in the marketplace, but it'd be easy to fake this kind of black-and-white set.